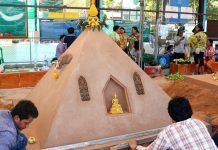 More than 50 real estate projects were showcased at the first Pattaya Property Show. 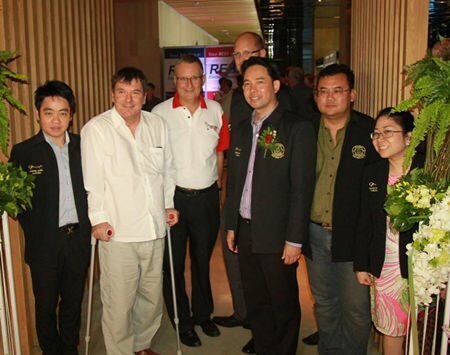 Mayor Itthiphol Kunplome opened the Jan. 9-12 show at the Pattaya Hilton. He said the show was intended to support one of the city’s major industries, one responsible for both income and jobs in Pattaya. Thailand’s Central Bank said much money has been invested in Pattaya, Phuket, Chiang Mai and Hua Hin. In October alone, 96,000 new units were in the pipeline on the Eastern Seaboard, 60 percent of which are planned for the Pattaya area. 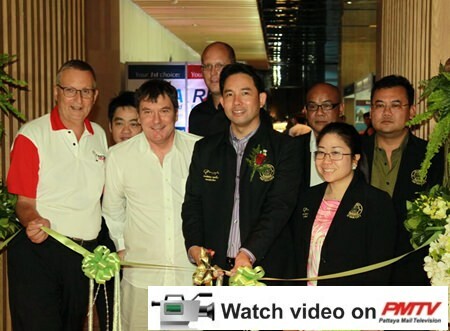 (L-R) Exact Trading’s Show Organizer Mike Bridge, Owner and CEO Charlie Warner with Mayor Itthiphol Kunplome cutting the ribbon to officially launch the first Pattaya Property Show. Show director Mike Bridge of Exact Trading Co. said there are good pieces of market analysis to support the exhibition as there are many factors and projects underway which are driving the regional property market. Among them are the expansion of U-Tapao Pattaya International Airport, expansion of Laem Chabang Port and the CP Industrial Estate on 3,200 rai in Rayong, due for completion in 2015. More than 3,000 prospective customers were expected to attend the show.